Many Catholic and orthodox authorities cite 1 Corinthians 15:26 – ‘The last enemy that shall be destroyed is death.‘ – as a source for their condemnation of devotion to Saint Death. However, in this this image of sanctified abandonment we find the peace with which Christ performed that feat of destruction, and a bridge to a more nuanced view of how Most Holy Death is seen by her followers themselves. They have overcome death through devotion and through acceptance, through an abandonment that speaks to the challenges they face in a society that often plays a more dangerous hand in their lives than death itself. 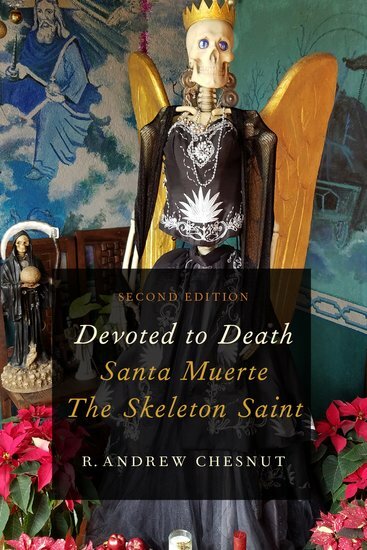 While Michaelangelo’s work is housed in Saint Peter’s Basilica in Rome, in Santa Muerte’s iconography this image makes it’s way to the street-side shrines and sanctuaries where her devotees foster the faith of the outsider. 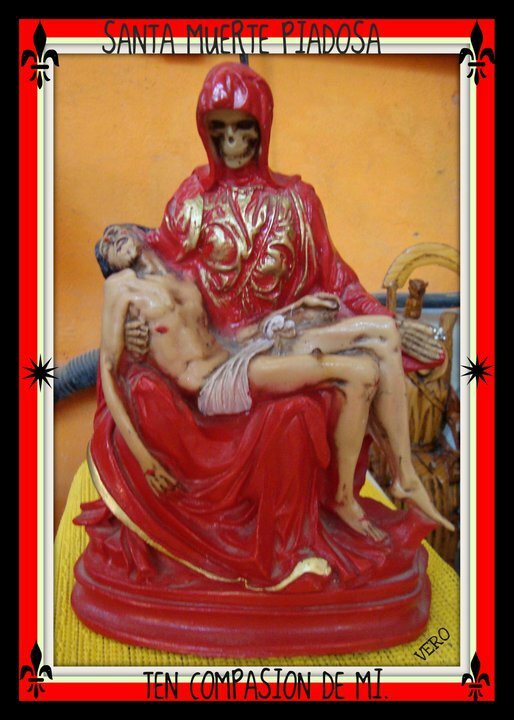 Santa Muerte Piadosa, represents for her followers that unquestionable quality of death, that it accepts all into its arms. 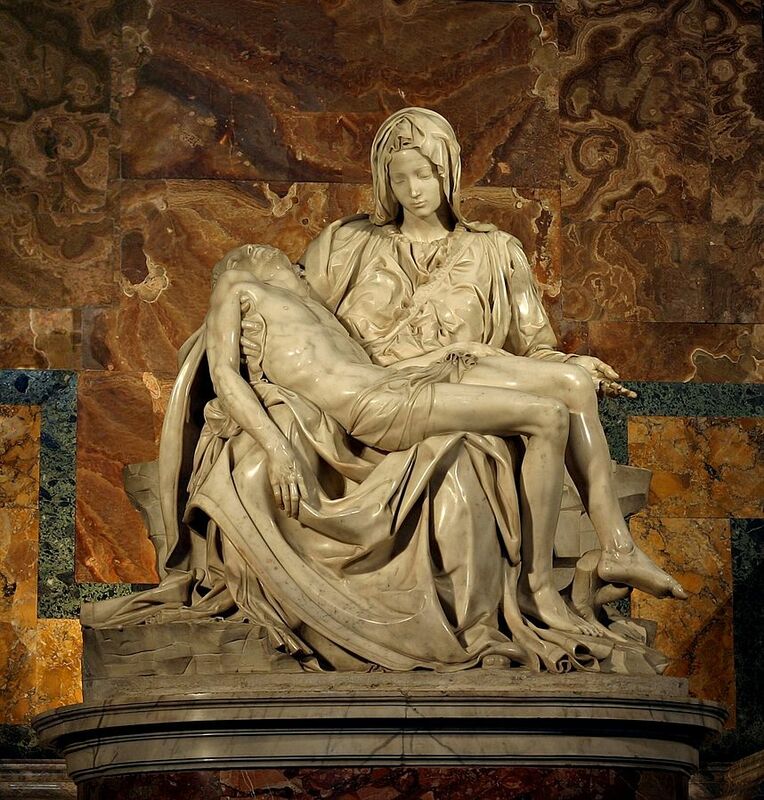 More these images continue to hold the original intention of Michelangelo’s sculpture, that just as Death accepts all – so too those who are at peace with the natural order accept everything that death brings.